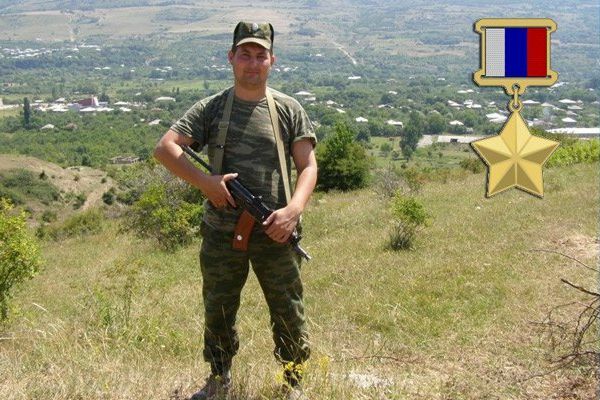 The heroism of captain intelligence in Syria: "Marat Akhmetshin vs 200 ISIS"
"When they found him, he, wounded, was holding the grenade without checks, and around the burned land" — about the death of his son, the Hero of Russia told his father Radik Akhmetshin. The funeral and the posthumous awarding of the 35-year-old intelligence chief of staff of the howitzer self-propelled artillery battalion of the Western military district Marat ahmetshin were held in Tatarstan in a mode of secrecy 6 June and 31 August 2016. And only now the feat forever the 35-year-old captain started talking in full voice, although the details of his last battle officially still at large. His grandfather commanded the guns on a military destroyer, father of supersonic aircraft — the fighter-interceptors, while the mother was loading the "black boxes" for these aircraft and later transcribed their testimony. Itself Marat ahmetshin, born in a military garrison in Kamchatka, from childhood dreamed of the sky and the service. But after graduating from the Kazan school №113, on the advice of his father he enrolled in the Kazan artillery school. And after being married, went to serve in Kabardino-Balkaria, where he spent a total of 8 years, a few times leaving in the zone of the Georgian-Ossetian conflict in Tskhinvali. His eldest daughter is now 13 years old, son 9, and youngest daughter is only 3. The rank of captain Akhmetshin received in 2005, and this grade has replaced a number of senior positions — the commander of the howitzer self-propelled artillery company of the 58th army of the North-Caucasian Federal district (2003 to 2006), assistant commander of the battalion of artillery of the same army (2006-2009), the commander of a howitzer artillery battery Gyumri Republic of Armenia (2009-2010) and finally became head of the intelligence headquarters of the howitzer self-propelled artillery battalion Zapvo (December 2015—June 2016). Nearly five-year break in service Akhmetshina from June 2010 to December 2015 — was associated with the dissolution of the military unit. In Kazan the gunner first worked as an engineer in PATP-2, then another one company, and then filed a report about the return of the army, explaining to friends: "Not mine. In the army of justice more." The last time to the parents of Marat came to the end of March 2016, and later went to a Nizhny Novgorod parts. Said ahead of the trip to the ground in the Leningrad region. Wife warned — leaving for three months. Last call from Vladimir, when waiting for the transport plane to send. He told me: "Listen, as your planes take off and land. I also said I really want to see my son, and your grandson became a pilot", — says Radik Akhmetshin vagizovich last major military aircraft and the flight dispatcher of the Kazan airport. According to him, the 3rd of June he did not know that a son can send to Syria. "I guess he could refuse but it would mean an end to service and throughout life," says the father. On the death of Marat ahmetshin at Palmyra in Syria, to his wife and parents reported on 3 June 2016. The official wording reads — "died in a combat mission as part of a military contingent in the Syrian Arab Republic". Unofficially, the families immediately said that Akhmetshin made a feat. On 6 June in Kazan on the airplane was delivered to his body. Parting with the participation of the chief of staff Zapvo, the military Commissar of Tatarstan and Secretary of the Republican security Council passed first in aspen, then another one in the village — Atabayevo Laishevsky district, where the funeral took place. On June 23, came the decree of the President of the Russian Federation about assignment to the deceased officer from Kazan the title of Hero of Russia "for courage and heroism in the performance of special tasks." 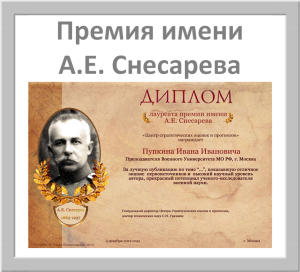 31 August in the Kazan Kremlin was the posthumous awarding of the star of Hero the family of the deceased. The press on this event is not called. Just wait for a response — alas, pointless. And his love always lives! In a public plane the story of the life and death of Marat ahmetshin came after a letter war in the Kazan school №113, where he studied Hero of Russia. The Director of the school asked to take steps "to perpetuate his memory and Patriotic education of the younger generation." Teachers and students have approached the matter seriously — have unearthed a biography of the deceased in Syria, contacting his family, friends, teachers and classmates, spent a few outdoor lessons and even made a film about it. Part of the filming took place in existing school Museum generals and admirals of the Republic of Tatarstan. In the nearest plans — installation of a commemorative plaque and stand. What happened on June 3, 2016? Head of Department of military Commissariat of the Novo-Savinovsky and Aircraft areas Michael Venediktov told at the meeting with pupils of school №113 that feat Akhmetshina was the fact that he sacrificed his life protecting others: "He could give the order to execute the task that before him nobody put, and to act independently, protecting other people... there are Few people who can against all odds to give that order, knowing that for this then can severely punished, up to and including dismissal, removal from office, but he's the man... it is the kindness, the honor of an officer, the desire to protect their comrades, and soldiers don't spare yourself in this at all... And his latest feat proved just that." — He was one man against 200 fighters (supporters of the international terrorist organization banned in Russia). They had tanks and Armored personnel carriers, and his only gun, three guns (by the way, on one instrument relies on the calculation of the four soldiers — approx. ed.) and grenades... And he gave battle. And he shoots straight — was able to knock out a few tanks and APCS. When reinforcements arrived and the attack was repelled, he was found still alive. He, wounded, was holding the grenade without checks, and around the earth burned. Apparently, he wanted to undermine itself, if the ISIS approach. Our took a grenade, threw it to the side to explode. Only then the son lost consciousness and fell face down into the fire. To save the life of officer military doctors could not — he got at least three fatal wounds. To the question, how could a Russian soldier in a foreign country to face one-on-one with a large group of ISIS terrorists, military sources "Real-time" suggested that the main forces either retreated or did not have time to arrive is not the place. Another assumption is that Akhmetshin could act as a military Advisor and train the officers of the army of the Syrian Arab Republic to the art artillery and military intelligence. And, since he was not in the rear, and on the front, so near Palmyra could be strategically important object. According to the Russian media, 35-year-old Marat Akhmetshin has become the 24th killed in Syria, the Russian military, whose death is officially confirmed by the authorities.